I love a good foot scrub but I also have really started loving a cooling foot mask! I played around with a few different recipes and I think I have landed on a really good one. During this time of the year especially it feels like I am running around all over the place getting things together for Thanksgiving and then of course for Christmas. Our feet can really take a beating and often, we forget that it’s nice to treat them every once in awhile too! I think you would really enjoy this if you are on your feet most of the day as well. 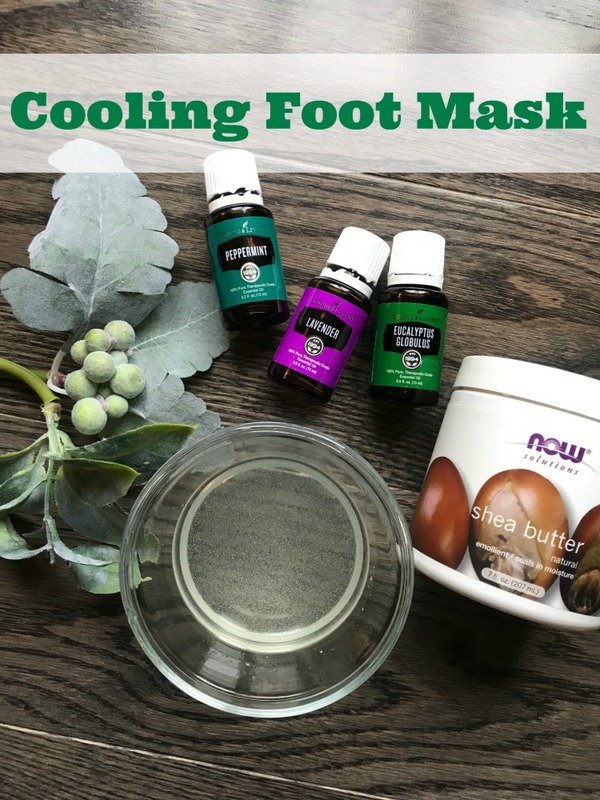 This homemade foot mask recipe can be made in just a few minutes with just a few ingredients and it feels nice and cooling to your feet (it’s also nourishing!). Grab a spot on your kitchen counter with all your supplies. This is a single use recipe so you are using a small amount of each ingredient. 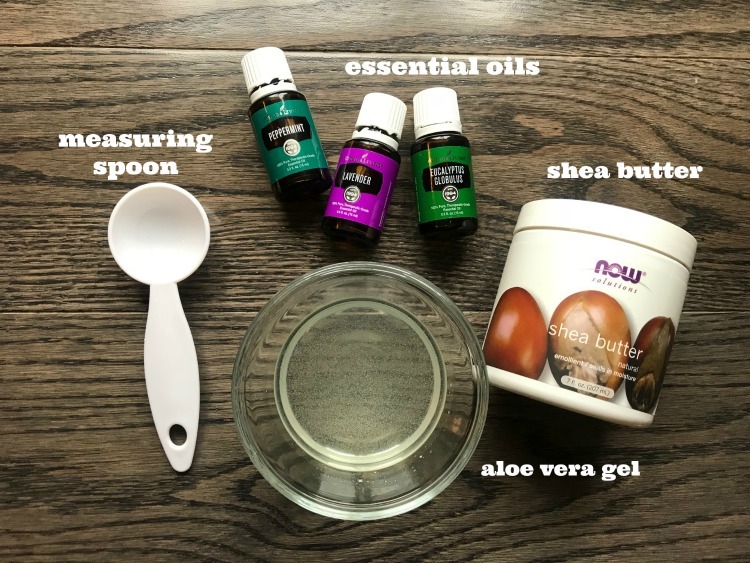 Measure out 1 TBSP of aloe vera gel and 1/2 TBSP of shea butter. Stir those together and then add your essential oils. 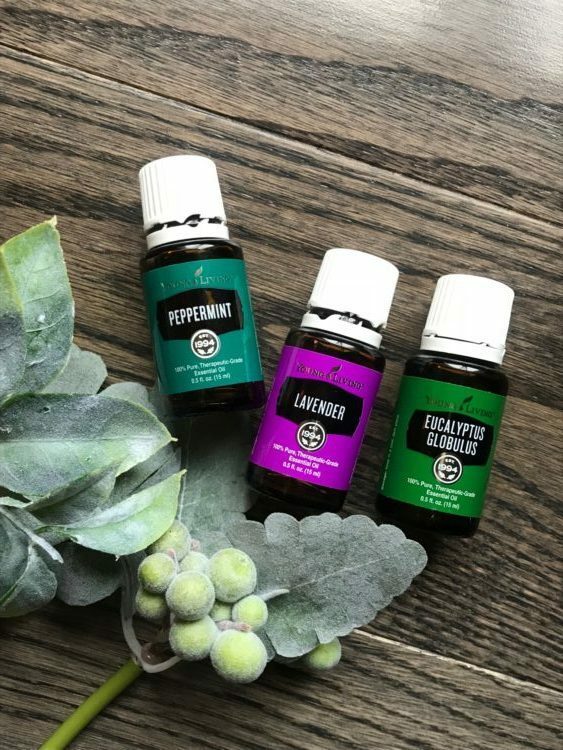 Add 4 drops of Peppermint, 2 drops of Eucalyptus and 2 drops of Lavender. Mix those into your aloe and shea butter. Pop in the fridge for 10 minutes. Remove, give a quick stir and apply to feet. This can be done while you soak in the tub or while you just kick your feet up to relax on the couch. You will of course need a towel to place under your feet if you are going to relax on a piece of furniture. Leave the cooling mask on feet for 20-30 minutes. When you are ready to remove the mask, take a warm washcloth and remove. You can rub in the remainder of the butter and oils into your feet after most of the mask is rubbed off because it is very moisturizing and good for your skin. Have you ever made a homemade foot mask? You should give this cooling foot mask recipe a try!